Some April moments from my Instagram profile, @insta_lilliness. Guardando le tue fot mi rendo conto di qusnto il clima stia cambiando velocemente, siamo passati dal cappotto alla t-shirt in un lampo! 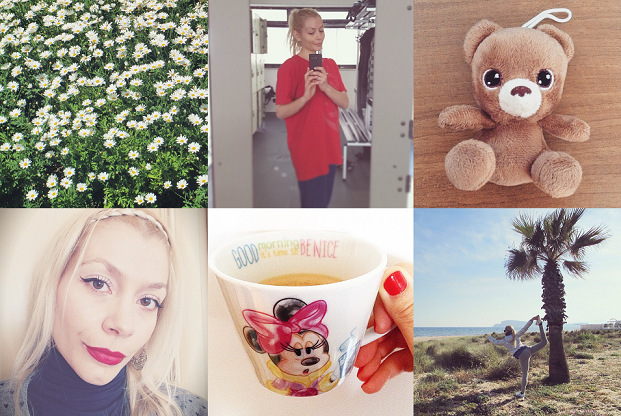 Un mese splendido di instapicts! Bellissimi momenti, un recap dolcissimo come te!!!! ciao cara fantastico il tuo cappottino rosa!!! Oh Lilly che tenerezza il pelouche che hai trovato bell uovo di apasua!! Such a wonderful month with so many amazing adventures! I am glad you are warming up to yoga!! Mi piacciono sempre troppo i tuoi primi piani! so may great pictures and everyone is a little piece of your life. I enjoy all your April outfits. Kinder chocolate is one of my favorite chocolate and my 25 years old daughter want every eastern her Kinder egg. ;) Your surprise in the egg is really cute and nice to see you in Madrid again. I will be there in June for visit my best friend. 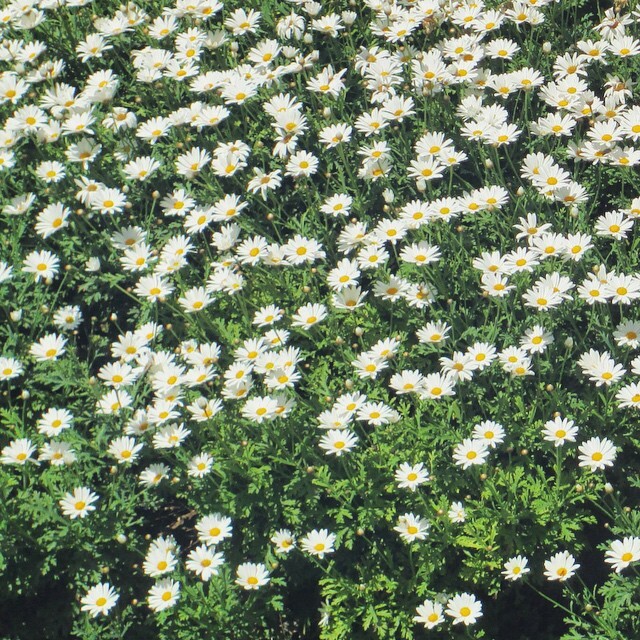 The Mimosa and Daisies photo looks like spring pure. Ohh, thank you for reminding me about Beauty & the Beast, I love that cartoon and watched it often in the past! I would suggest to my husband to watch it with me but I think he rather poke his eyes out with a fork. LOL! Bellissime queste foto....voglio provare lo scrub Kiko!! Hi sweet Lilli! !April was a wonderful month for you!!! And i enjoyed all your lovely outfits!I love all your pictures! !My favorite are the nerd selfie(clever indeed!!! )and the blooming trees!Hope you have a happy month of May!! Ciao Lilli!! Mi sa che questo mese ce l'ho fatta a non perdermi nemmeno uno scatto! Bellissimi tutti, i miei preferiti sono quello del prato pieno di margherite e la foto in cui hai quella bellissima posa da ballerina (ma come faiiii??)! 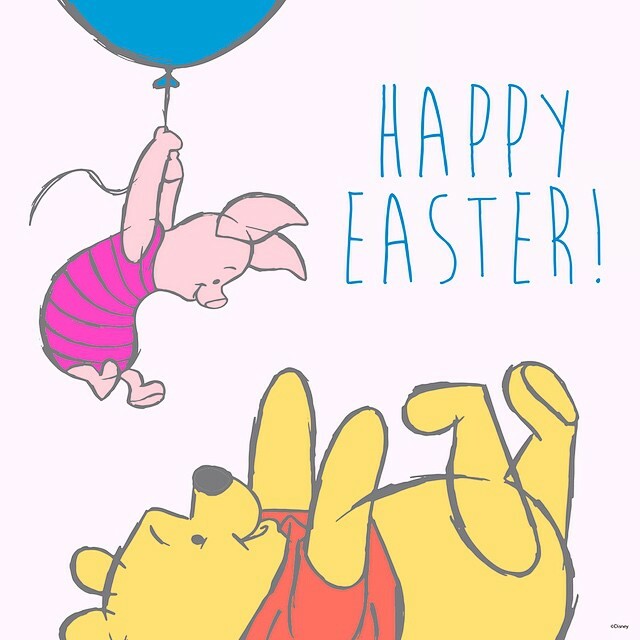 Poi mi sa che abbiamo passato una Pasqua molto simile! Adoro sempre i tuoi recap di Instagram, tu sei sempre bellissima e posti sempre delle immagini che fanno stare bene, adorabili =) Baci Lilli ! You are so pretty in your "nerd" glasses Lilli! Definitely not nerdy at all :) That cute bear is such a sweet surprise indeed. Have a lovely week sweetie! ...che bella la primavera...la natura...i suoi colori!! !...ho provato le nuove gocciole e preferisco quelle classiche!!! These are wonderful collages of your photos Lilli. You are so sporty, especially doing some kickboxing. Your lip balm from Kiko looks so nice. I wish you a wonderful week. I can not believe we're now entering the fifth month of the year! Time is flying, love the photo with glasses and striped top, you look great with glasses Lilli, and so v in his last outfit climate is already warmer in your city, we have had a fall with enough sun but there are days when the wind and feel. Kisses dear Lilli! A recap full of tranquility, peace, energy and joy, love mimosa and sky photos, you with stripes. I'm so glad that you have instasummary too. I remember some of these pics but some, I've not seen them so it's lovely to see all of them here! The little bear in the Kinder surprise makes my heart melt. It seems to be imploring for you to adopt it. I love the Minnie Mouse cup a lot. Your after gym OOTD selfie is the best! It's so different from your usual polish look. Troppo carine tutte le foto! Tu sai che adoro il tuo profilo sul Instagram :))) Bacione cara e buona settimana! Loving your April Instagram round up and the new outfit in the red leather skirt and scarf is so chic. May is one of my favorite months too and I hope you're having some nice weather in Italy! Cute instagram photos.=) Great round up. Every picture send a beautiful message to me, but there is two favourite pictures: the one you called Easter Monday selfie (you look like a princess in a fairy tale) and the one where you stretching out on the beach... Stupendo roundup, cara mia! Grazie! Mi piace tantissimo il nerd selfie, dove ti trovo bellissima e le margheritine. Poi certo, tutti i tuoi outfit. Scusami Lilli, una domanda: è buono il lip scrub di Kiko? i want to try that Kiko lip scrub Lilli! someone else was talking about how good it is. you look so good in stripes. love them on you. What a beautiful life is around us when we can really notice all this beauty!